Find Galt Villas Inn deals, discounts and special offers. The facility is located in an area rich in shops, restaurants, cultural events, and entertainment venues. 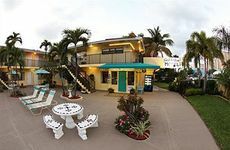 Set just steps from the beach, the Coral Key Inn features a large free form pool and poolside gardens.